With all these new boy toys, I mean tools; the inside house items – like curtains – had a really small budget. 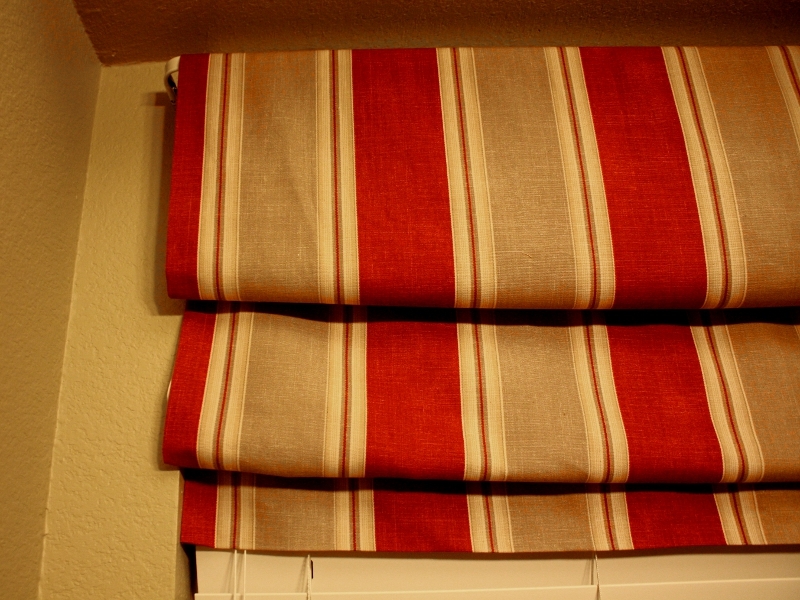 After looking for hours online for curtains that were pretty and outrageously expensive, I was frustrated. 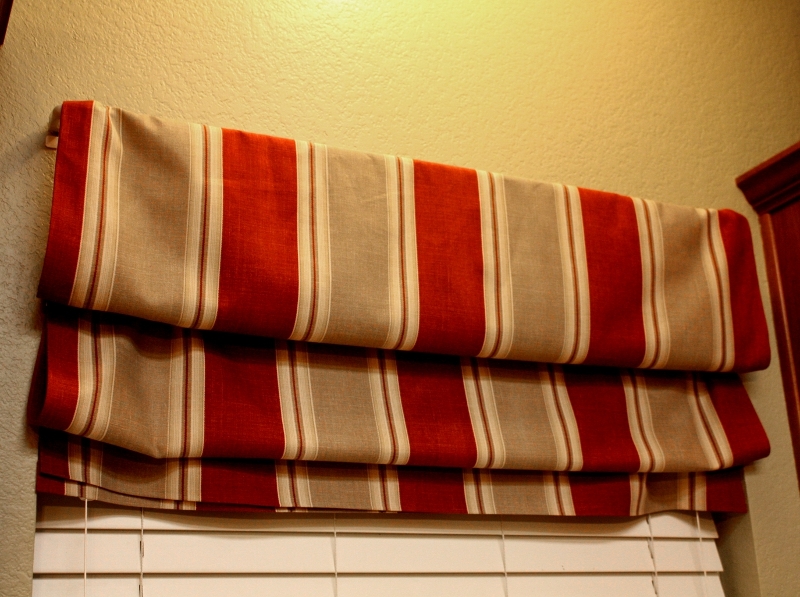 While I was playing on Pinterest, I came across these cute no sew faux roman curtains. So let me say, I don’t sew. If pushed I could probably sew on a button but that’s about it. However, I’m really good at ironing – thank you Mom. For these curtains, that’s pretty much all you need. Fabric, iron, iron on hem tape, scissors and a couple of tension rods. For the large window, it required two widths of the material. I used decorator fabric that even at 50% off was still expensive so for the back it has blackout fabric. Not only is it a lot less expensive, it helps with the heat during the day and only shows white when the window is open. 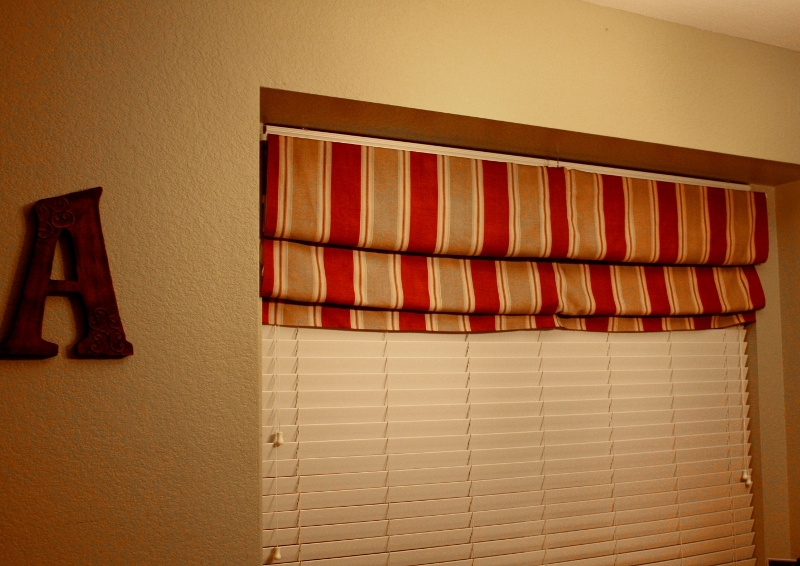 Also, we installed a regular curtain rod instead of a tension rod due to the weight. I think they turned out pretty good. 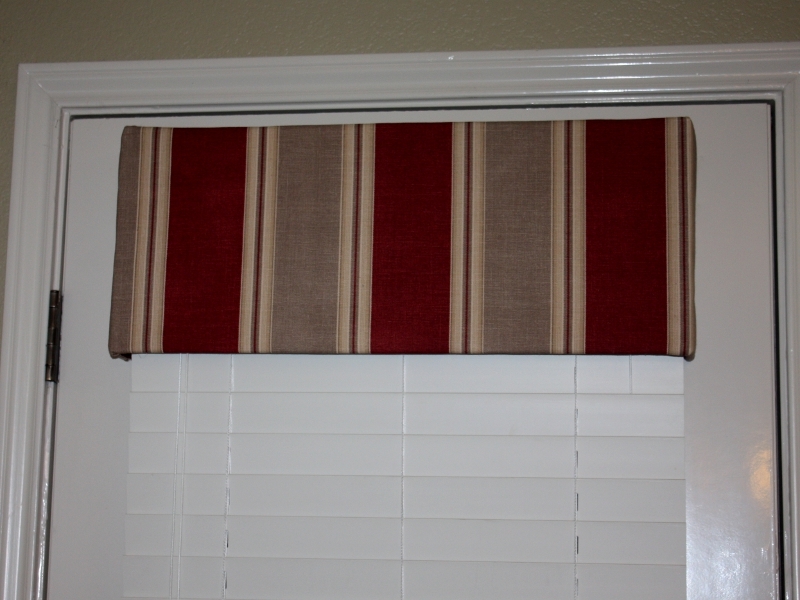 As I was looking for no sew window treatments for the living room, I found this post on window valences. To my surprise the instructions said to use a foam board and a hot glue gun. A hot glue gun is another thing I’m very familiar with from all the summers working on banners for the church Christmas pageant. So I pulled out my glue gun and made this. It took about an hour and looks great. No one can even tell it’s held up 3M Command strips! This crafting project was a success!